President Trump has plans to press a yearly user fee on the e-cigarette industry. The sector will be forced to pay up to $100 million/year if Trump admin budget draft released week ago approved. And the FDA will oversee these funds to ensure all firms comply. Currently, e-cigarettes merchants are not subjected to similar fees, but many other forms of tobacco-based products. They are, e.g., cigars, cigarettes, and snuff. This financial year alone, the FDA expects to collect approximately $712 million in tobacco industry user fees, with cigarettes making up for over 86% of the whole amount. 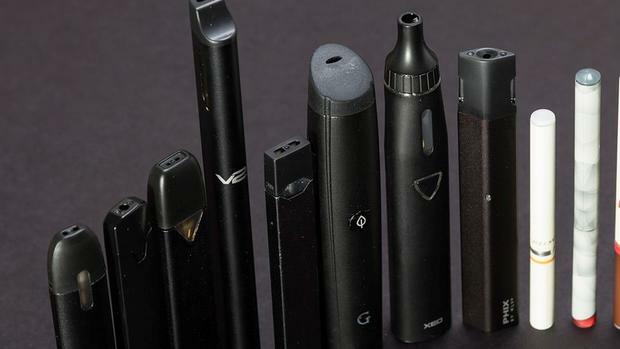 According to Trump’s budget draft, the proposal to charge a user fee on the firms in the e-cigarette industry would make sure the FDA is financially able to deal with today’s alarming rate of e-cig use among youth, and the future public health concerns. The Trump admin is anticipating $6.1 billion in FDA funding, a figure that’s $418.5 million over what we have now. And user fees from the drug (including the proposed e-cig fee) and other sectors are expect to account for $2.8 billion. This new proposed fee (on the e-cig sector) will apply to producers and distributors of vaping products including e-juices, and Congress will have to approve it. Meanwhile, e-cig merchant account owners are protesting over the fee. Liz Mair of Vapers United disapproved of the charge saying It is a tax, not a ‘user fee. According to her, ‘User fee’ is a term some government officials use when they’re looking to hike taxes without offending merchants. She also proposed that the government should focus on making policies to maintain low vaping taxes low so that smokers can switch to e-cigs. While FDA Commissioner Scott Gottlieb agrees e-cigarettes can play vital role in helping adult smokers looking to quit regular cigarettes. He insists they must go through regulatory checks to confirm their risks vs. benefits. He also warned that “no child should use an e-cigarette,” because scholars are still analyzing the long-term effects of vaping. Elsewhere, Matthew Myers, head of Campaign for Tobacco-Free Kids, warned about the shady details of the proposal. This might be a potentially positive development, but it doesn’t come from the FDA’s. FDA’s need to take strict mandatory action against the habits and products that have led to the youth epidemic. He proposes that the FDA should prohibit the sales and marketing of all flavored e-cigs. The FDA has been concerned about skyrocketing vaping among youths since multiple sets of federal data. Data conquered that high school e-cigarette use rose around 75 percent between 2017-2018. And now, administrators say they plan to save the next generation from nicotine addiction. Conditions are worsening for the vaping industries as the federal government and FDA work to improve public safety. But industry players feel this new user fee proposal is a pretext the admin is using to impose a tax on the e-cigarette industry. Author Bio: Electronic payments expert Blair Thomas is the co-founder of high risk payment processing company eMerchantBroker. He’s just as passionate about e-cig merchant account owners as he is with traveling and spending time with his dog Cooper. Tap Into The Power Of Self-Care. If you’re serious about making health and happiness happen this year, tap into the power of self-care. Self-care is all about engaging in activities that will empower you to feel good, hence enhance your self-esteem. Or it will generate some other great outcome that will contribute to your general well-being. Anything from reading a book while sipping a cappuccino at a local bookstore to getting a massage can empower you to step into a deeper dimension of health soon. Doing hot yoga is another wonderful strategy you can deploy to start feeling good about your appearance. And it will simultaneously attaining life-enhancing outcomes like stable blood pressure, natural weight management, and boosted immunity. There are now hundreds of hot yoga studios across the country. And you can do internet research to find one located near you. If there are no hot yoga studios in your area, consider the value of trying yoga in a traditional facility. Make Your Work Life A Sphere Of Productivity And Positivity. One thing people sometimes fail to consider when it’s time to get healthy is the importance of making their work life a sphere of productivity and positivity. Taking this step will engender well-being by keeping you calm and boosting your self-esteem as you accomplish more and more tasks quickly and correctly. If you run a business, note that utilizing business funds to attain medical package testing products and services from a company such as TEN-E can optimize productivity while also keeping you and your employees safe. Three strategies that you can implement to attain health and happiness include taking self-care seriously. Getting into hot yoga, and making your work life a sphere of productivity and positivity. Begin implementing these strategies now so you can start to feel amazing and look great! There are numerous approaches to enhance your health furthermore your appearance. Getting more fit is one of the approaches to accomplish health change and appearance change. To get in shape, you don’t have to torment yourself by not consuming food at all and starve yourself. You have to control your metabolism. And the verify that you lose the perfect measure of weight appropriately to attain to sound life. Today, I will give you an orderly guide on the best way to get more fit in solid way without cost your health. The main step is verify you make an objectives for yourself, it’s not important to be enormous objective; everything you need is little yet great objectives. Setting an enormous targets and objective is not sensible whatsoever; you will lose your resolution before you achieve the objective. Subsequently, make beyond any doubt to set little target, for example, diminish 5 pounds in a month. 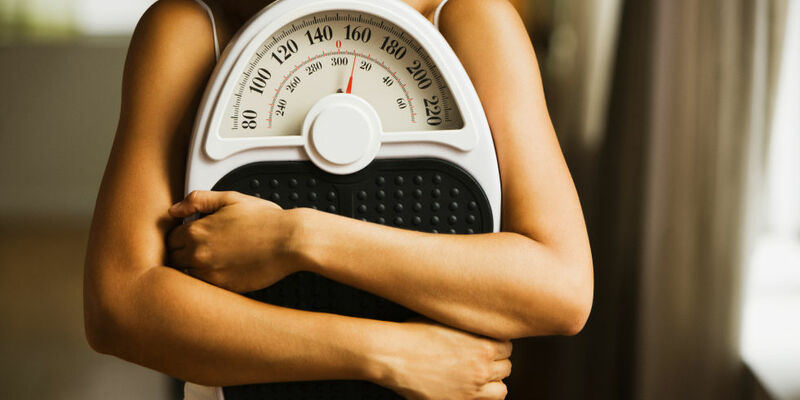 Take it simple and try to avoid panicking when attempting to lose weight; anxiety can be the particular case that aggravates your push to get in shape. The second step is doing work out basically. You may utilize some handy approaches to lose weight. For example, utilizing stairs rather than lift to work out your entire body. Then again, you might likewise practice on your seat while working by do straightforward workout move. There are many workouts move you can do, from simply using chair on your office, walking on stair, or you can visit gym to get proper way of doing work out. Otherwise, you can visit healthcare hospital that will provide you with the most effective workout to solve your specific health problem. For you who want the most effective way to get workout, you can call Booking Health to get healthcare and rehabilitation. The following step is consume when you hungry and consume anything you like. You can break the conventional 3 dinners a day, make beyond any doubt that you are consuming solid nourishment whenever you like. Basically abstain from consuming anything 3 prior hours resting and in the wake of getting up every morning. The next step is make sure to take supplement to help your weight lose process. Some supplement serves to regulate your blood sugar and enhance your metabolism by keep up the level blood sugar. However, if you are unsure about taking the supplement. You might want to consult and get proper healthcare for professional physician and doctor. There are many hospital that will provide you with treatment, diagnostic, rehabilitation and even spa and beauty for your health. If you want to enhance your health, get proper healthcare and lose your weigh properly. I recommend you to click this and find hospital in any country that will be able to provide you with the most effective treatment and specializing in losing weight in healthy way. All you need to do is fill out the application and their specialist will contact you as soon as possible. Then, you will get the most effective way to lost your weight in healthy way.